An electronic gate does more than adds an appearance of formality to many well-respected establishments, it also offers an atmosphere of security to that building's entrance. If it malfunctions, however, it can make quite the sour impression on any potential clients. Flawless professionalism is something every business strives to present to the outside world. Our highly skilled team is here to make sure that you continue to exhibit nothing but supreme reliability. You wouldn't want your gate to go whizzing by one of your employee's vehicles while they're trying to enter or leave your parking space, let alone a potential client's car. God forbid the gate actually hits a person. Leaving a bitter taste in a customer's mouth is the least an accident like that will do. Making sure our professional technicians routinely inspect your gate will help you avoid unfortunate situations like this. We'll be able to detect any potential malfunctions and "nip them in the bud", saving you time and money in the process. Even with scheduled maintenance, some malfunctions or accidents can be unavoidable, especially the rarer ones. That's when our fast response service becomes downright crucial. 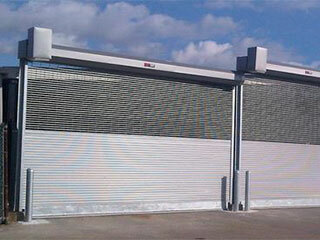 Our experts will quickly get to your building and will immediately start working on solving your problem. Whether it's a non-responsive safety sensor or a fried electrical wire, they'll repair or replace the damaged component and your gate system will return to its proper function in no time. If it's a matter of keeping your building's security at a superior level, or optimizing its intercom system for easier communication, our experts are here to help. We have a plethora of different upgrades available, and we always update our inventory with the latest brands and models the moment they hit the market. Don't Hesitate – Call Today! For any gate related issue you may be experiencing, or any type of maintenance or upgrade service you may require, our team at Gate Repair Los Angeles is the perfect choice. Contact us to get the best professional consultation in California.